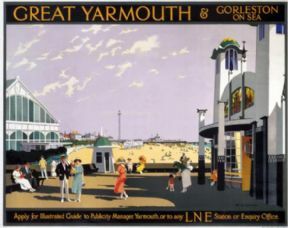 Railway travel poster produced for London & North Eastern Railway (LNER) to promote rail services to Great Yarmouth and Gorleston-on-Sea in Norfolk. 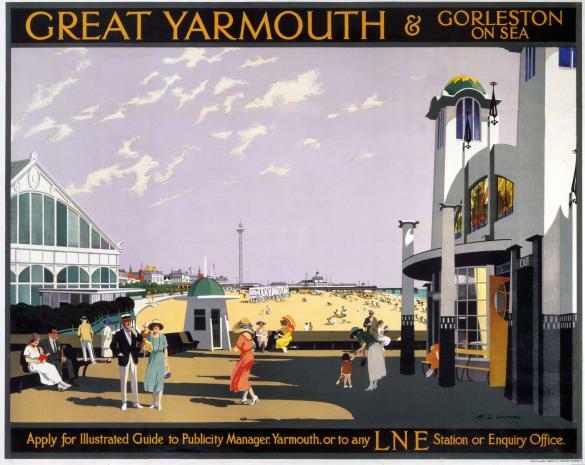 Artwork by Henry George Gawthorn (1879-1941), who started out as an architect but later turned to pictorial art. 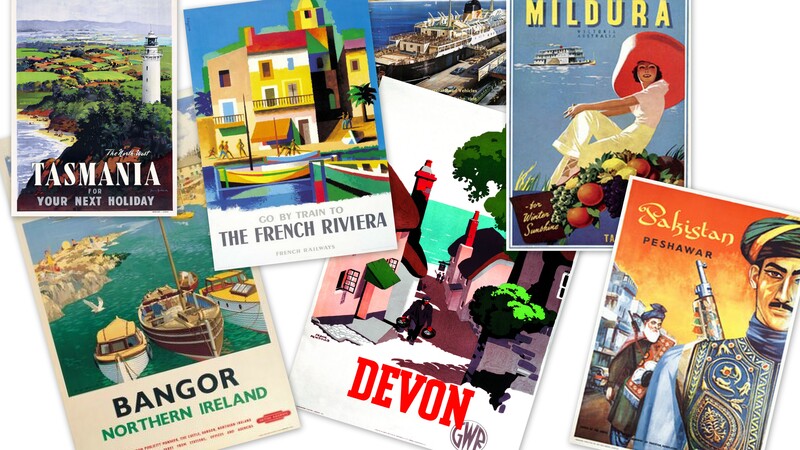 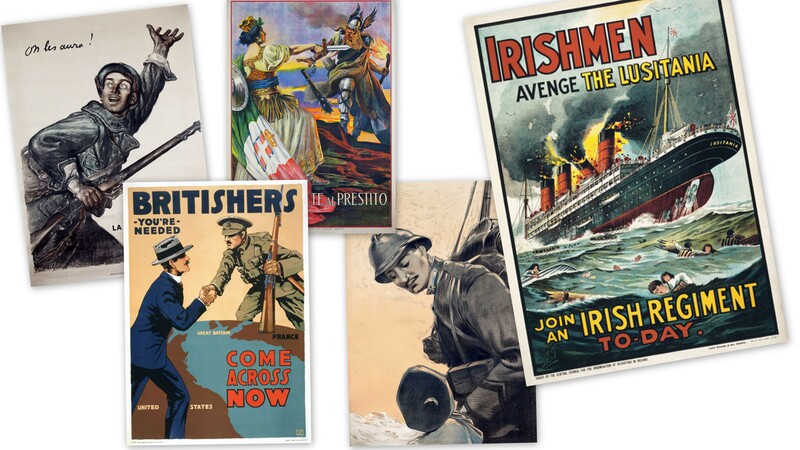 He wrote several books on poster design and publicity and produced posters for LNER. 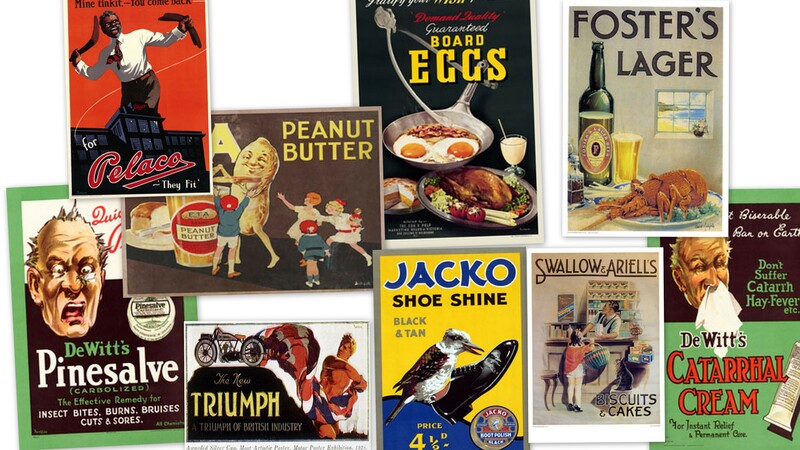 He often inserted a self-portrait into many of his posters, complete with pince-nez and a panama hat.